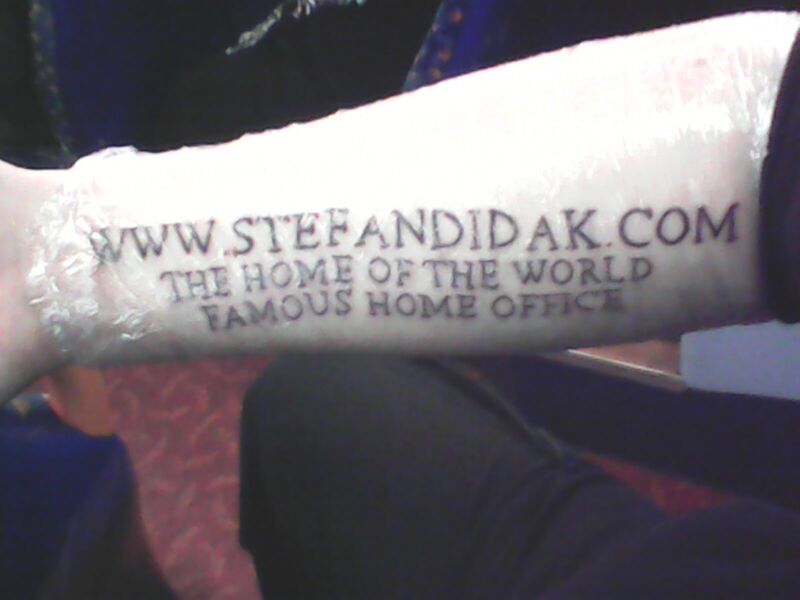 Stefan Didak – The Home Office Tattoo? 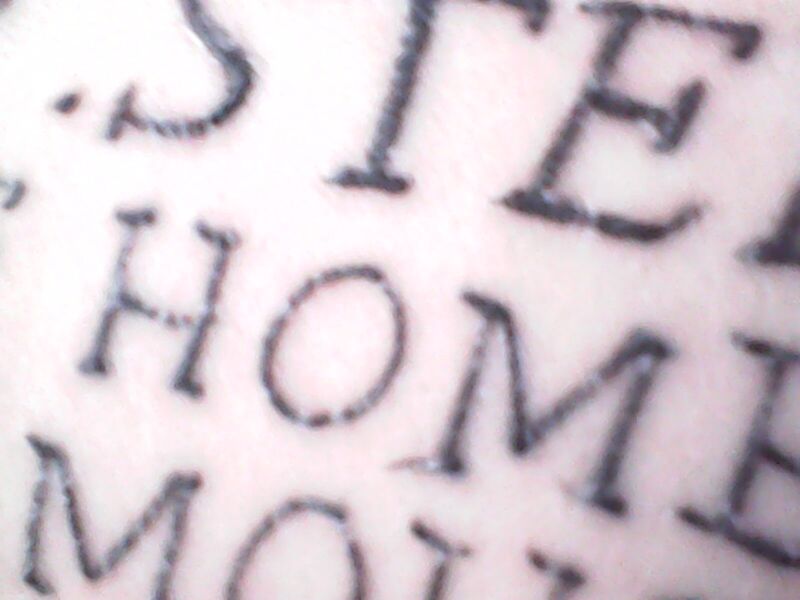 You are here: Home / Home Office / The Home Office Tattoo? This is one of those blog posts that may be a little different than what you may usually find here. It is, however, very much related to my home office and this website. I wish I had more time to blog about a lot of other things that have nothing to do with my work or my home office. Alas, I just don’t have a lot of time for that, in between regular activities and being a director at the Oakley Chamber of Commerce. This morning I woke up and checked my e-mail and found a message from one of the big fans of my office and website, Steven Dray. Attached were two images that certainly surprised me, to make an understatement. Steven has posted the images to his Facebook page and on Twitter but considering the content of the images I’m also posting it here with a little bit more information. It is, I suppose, flattering, but at the same time it brings up a few questions. I asked Steven Dray how he made the image because I couldn’t see any artifacts that are usually present when photoshopping or compositing an image. With my background in 3D computer graphics, rendering, and pixels in general, I would be able to tell and I couldn’t. So either this was a really amazing photoshop skill or not. I asked Steven about it and he told me it wasn’t a composite, it was real. 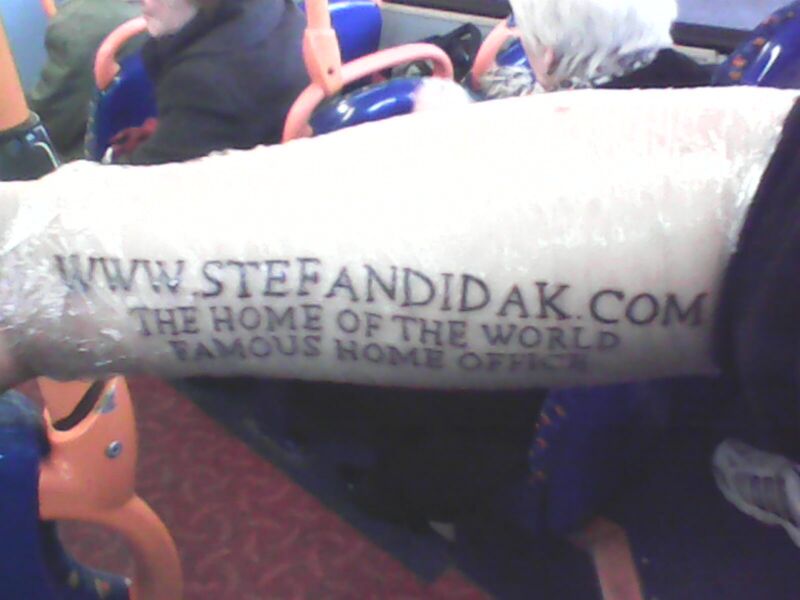 I could tell from the cling film that tattoo artists use to cover up a fresh tattoo. Before anyone says anything, please allow me to make the disclaimer that I did not suggest or encourage Steven to do this and that it was entirely his own decision that I had no knowledge of. 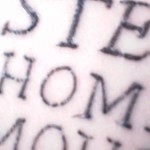 I certainly wouldn’t suggest or encourage people start doing tattoos like this and Sallie asked Steven what his parents think of this. Part of me does need to acknowledge Steven Dray’s decision being one that, without a shadow of a doubt, puts him at the #1 position for being the biggest fan of my home office! 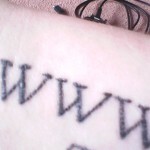 I honestly never thought I was either a celebrity of any kind nor in any kind of position to expect anyone getting my name tattooed on any of their body parts. 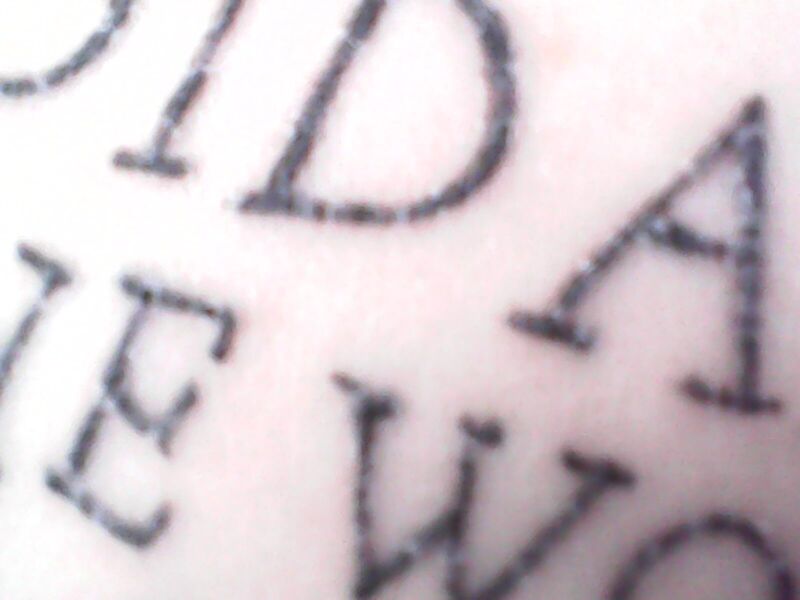 I know it’s not entirely uncommon that people get a tattoo their favorite celebrity. But this is most definitely a first for me and one I am most definitely and seriously surprised about. Now, be nice folks, don’t start going off on Steven for doing this. Steven Dray has sent a few additional pictures because there are some people out there who say it’s a hoax and not real. 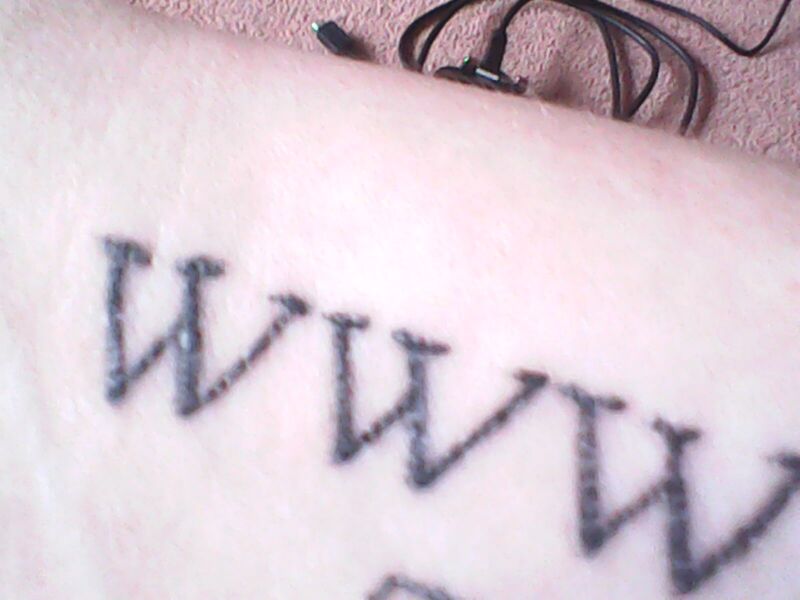 does this now make me officially you website host? Epic. Steven Dray, I’m just curious if you were sober? Either way you just made my list of Hero’s. Cheers to you.